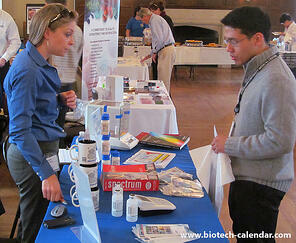 Georgetown researchers learn about new lab products at past BioResearch Product Faire™ Events. 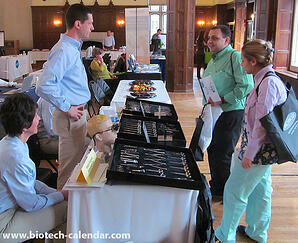 The Georgetown BioResearch Product Faire™ Event provides you with the opportunity to meet face-to-face with sales reps in a professional and friendly environment. Instead of traveling door-to-door and interrupting your work, sales reps from different companies will be in one room, making it convenient for you to speak with them on your own time. Discover new products and technologies you did not know were available to you. Learn about new companies, brands, and supplies available for your use. Compare different science tools and companies to see what best fits your needs. Get samples to bring back to your lab. Anyone involved in the lab and research process is invited to the event, meaning you will be able to network with hundreds of researchers, PIs, lab managers, professors, and other lab staff from dozens of departments and research buildings on campus to learn about other research being conducted at your university. You can also connect with industry professionals with access to decades of life science knowledge and education, and establish new professional contacts for your future. By attending the event, you not only have the opportunity to find new supplies, but you also have the chance to win door prizes and collect giveaway items. Everyone who attends will be eligible to enter for the chance to win a FitBit, the first researchers to arrive will be able to get a popular Science Ninja t-shirt, and those who arrive after 1 p.m will have the chance to take home a coveted Science Ninja lab coat. There will also be a full, complementary lunch buffet available throughout the event so as you peruse that product booths, you can enjoy a sandwich, pizza, bagels, fruit, some lemonade or tea, and a sweet treat. 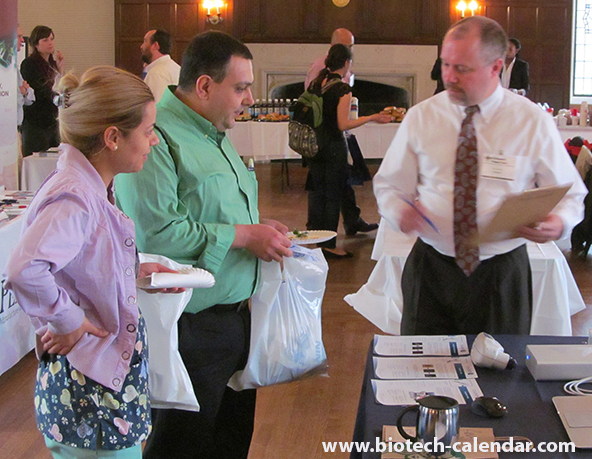 Join over 150 researchers at the May 1, 2015 BioResearch Product Faire™ Event at Georgetown. To learn more about attending this complimentary event, visit the link below, where you can also pre-register to save yourself time the day of the show. 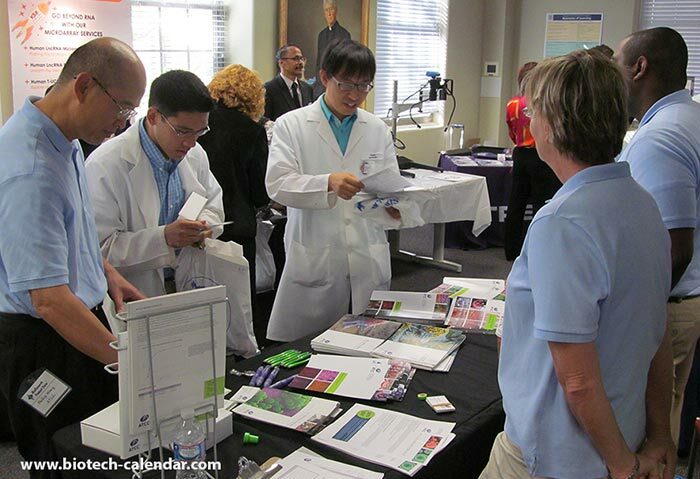 Lab supply companies interested in marketing to researchers in the Georgetown marketplace are invited to visit this link to learn more about participating in this upcoming event.